Many of a time, we’ll need to cut out the background of photos and only save the foreground. 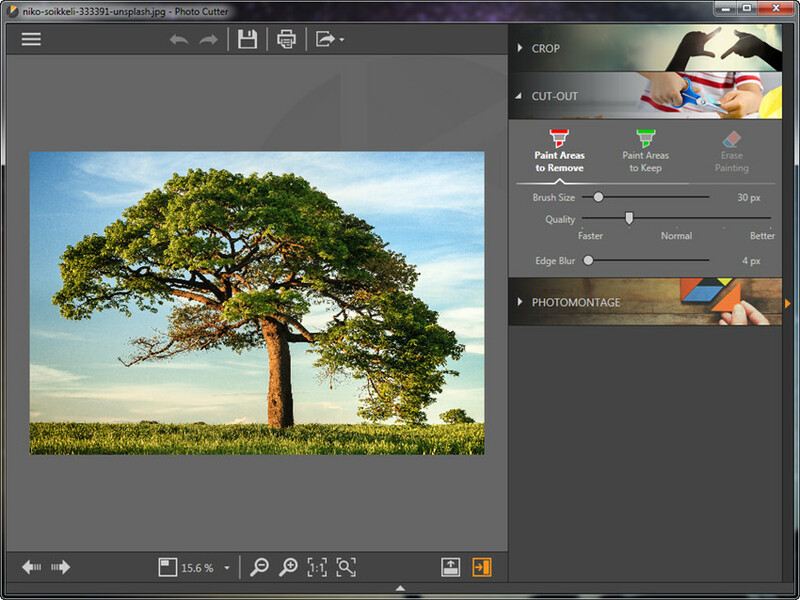 In the following guide, we’re about to show you how to use Photo Cutter to cut out the background of a photo. After starting Fotophire Editing Toolkit, you can choose Photo Cutter to initiate the program. 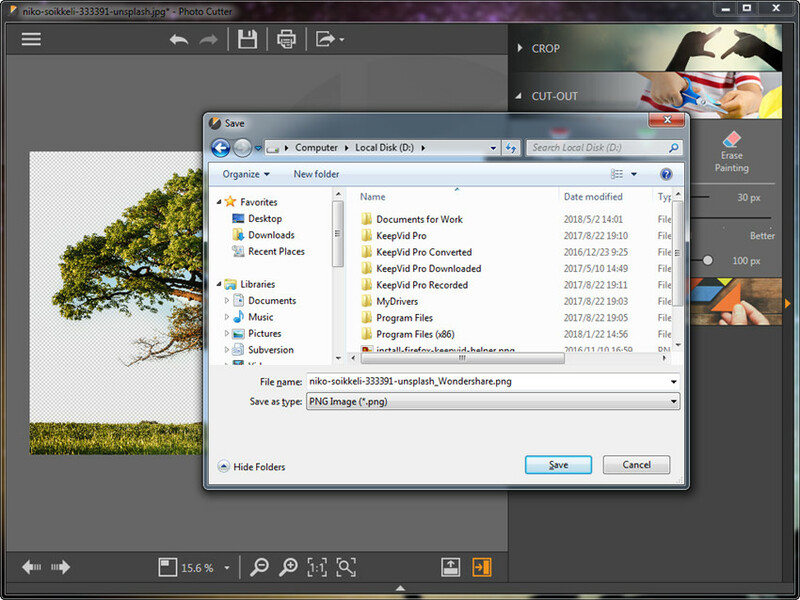 Then add the photo from your computer, and you’ll see the panels at the right side of the program window. After that, select the CUT-OUT tool. 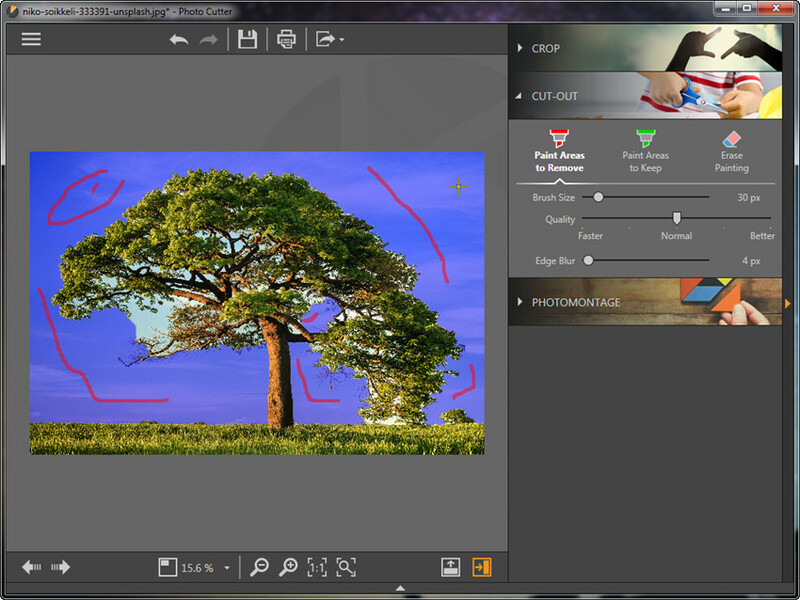 There’re several options in the Cut-Out category, including Paint Brush tool, Quality tool and Edge Blur tool. 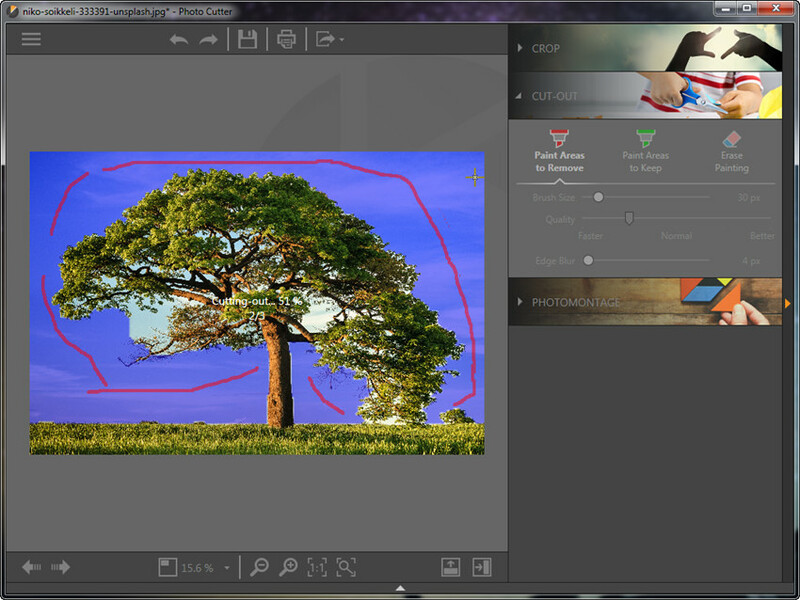 Brush Tool: You can use paint brush to determine which area of the photo to keep, and which area to cut out. The red brush enables you to pick up the area to remove, and the green brush determines which area to keep. The Eraser tool allows you to erase any of the brush marks you’ve made. The Brush Size tool is also helpful when you want to adjust the size of the brush. Quality: This tool determines the ratio between the cutting speed and output quality. We usually put the slider in middle by default. Edge Blur: This tool is used for blurring the edge of the kept area of the photo. If you drag the slider to a higher amount, the edge of the picture will be more blurry. After applying the changes to your photo, you’ll get a picture with transparent background. Now you can save the picture to your computer by clicking the Save button at the top middle of the main interface.